Intellectually, if nothing else, the pair [Richard Barrett and Han-earl Park] are an intriguing match. 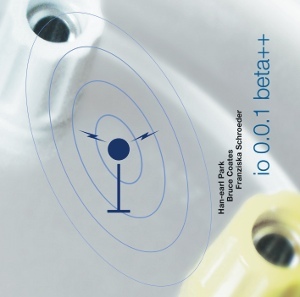 Before his meeting with Barrett, in May 2010, Park recorded an album, io 0.0.1 beta++ (SLAM), with two human companions, both saxophonists, and the titular automaton, io 0.0.1 beta++, which Park constructed himself. This entry was posted in audio recordings, performance and tagged 05-25-2010, 05-26-2010, 08-19-2010, audio recordings, automaton, Bruce Coates, CD, Christian Eggen, Cikada, Cork, Creative Sources Recordings, CS 201 cd, Dalston Sound, Dark Matter, Deborah Kayser, electronics, Elision Ensemble, Franziska Schroeder, Han-earl Park, improvisation, interaction, io 0.0.1 beta++, musical automaton, Numbers, performance, press, recordings, reviews, Richard Barrett, Slam Productions, SLAMCD 531, technological artifact, technology, Tim Owen. Bookmark the permalink. Post a comment or leave a trackback: Trackback URL.